this very important moment tells so many stories. mama's doctor really listened to her, and entered the room with kindness and lightness in his heart. he caught mama's baby and brought him to her chest immediately. 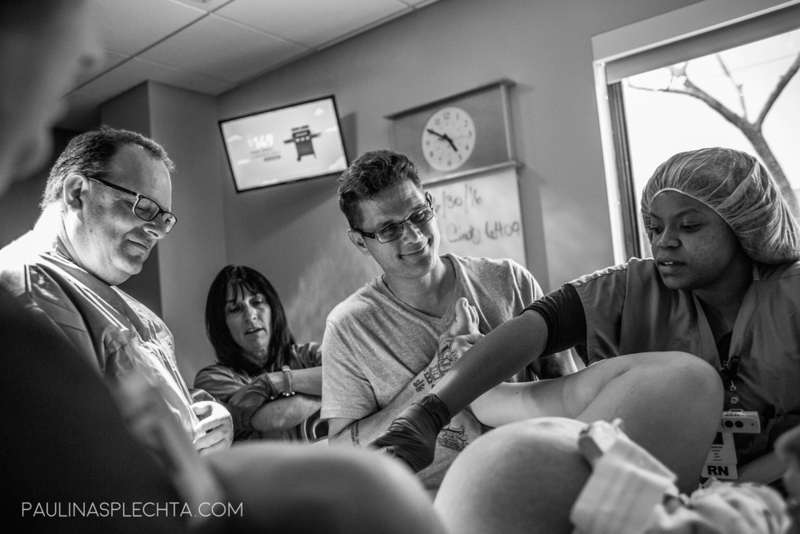 what a strong impact the right provider can have on your birthing experience. everything about the day of the birth of a human being is amazing. it is a gift. it is mind blowing. it is incredibly emotionally moving. it can change you. it can stay with you forever. this is a most sacred moment between mama, child, and anyone a mother chooses to have in the birthing room with her. I feel very blessed that mamas trust me to document this incredibly epic moment for them. heartbeat. little kicks. tiny elbow jabs. belly rubs. together your love and your baby's placenta grows a little human who will open their eyes and see their mama for the first time ever and cry out loud "MAMA!" in a language we cannot understand, but yet we really do, don't we mamas?